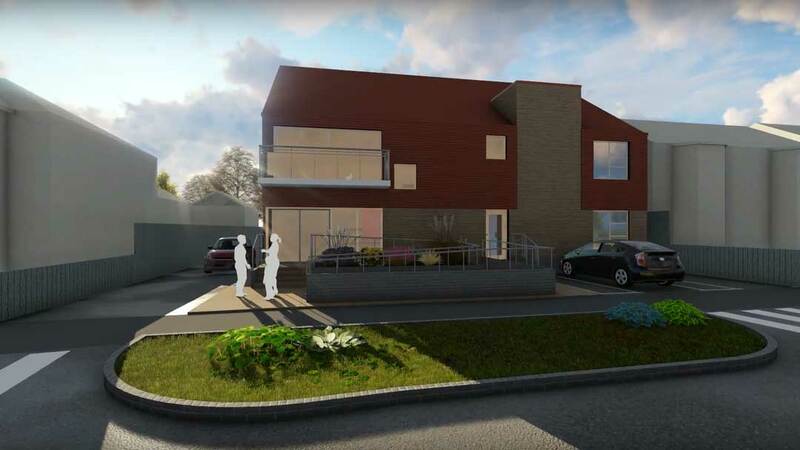 ACA’s design for Westwood Care Group’s learning disability centre at Marfleet Avenue in Hull, consists of a six bed, residential unit along with external garden space and day centre. The design reflects the local vernacular whilst implementing innovative and contemporary design elements. The materials used complement each other via the considered simplicity of the design. There are a low number of learning disability facilities available in the area so the development of a learning disability centre in Hull responds directly to the need for more well-designed centres which offer relief and support to local families. This is beneficial to the area and the wider context. Our “people-centred design” ethic is at the heart of the project. The final outcome will provide a user-orientated, meaningful space. ACA has produced a sophisticated visualisation to really bring the scheme to life.